Product categories of Sub, we are specialized manufacturers from China, Top Sub, Steel Top Section suppliers/factory, wholesale high-quality products of Truss Top Section R & D and manufacturing, we have the perfect after-sales service and technical support. Look forward to your cooperation! A Top Sub, or Crossover Sub as it is sometimes called, is used to attach the motor to the drill-string. The crossover Sub typically has a standard API box connection that connects to the drill-string and a proprietary pin connection that connects to the motor. 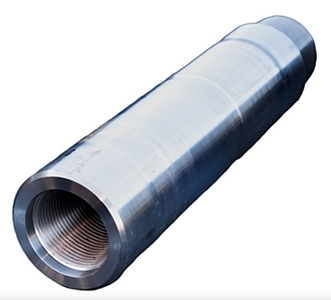 Top subs may also be designed with a float bore for those applications that may require Float Valve. Optionally, a dump valve sub can be used in place of the top sub. The dump valve sub has the same function as a top sub, but instead contains an internal bypass valve that enables the fluid in the drill-string to drain out when the string is pulled out of the hole.